Do you love early mornings that involve a thermos of coffee, crisp air, and stalking your prey? Then you know that every piece of equipment, tool, and accessory is vital to the success of your hunting trip. There’s a fine balance between taking everything and taking what you need, however. You don’t want to be tracking game whilst also clicking and clunking your way through the terrain. In fact, you wouldn’t want to spot a trophy-buck and not be able to down it because your rifle is in the truck or back at camp. You want only the best AR accessories so that when you use your AR-15, it’s dialed in and effective. How big and challenging is the prey you’re hunting? What is the rifle setup you’re using to take it down? Before you answer these questions, however, you may be wondering: Can you use an AR-15 for hunting? 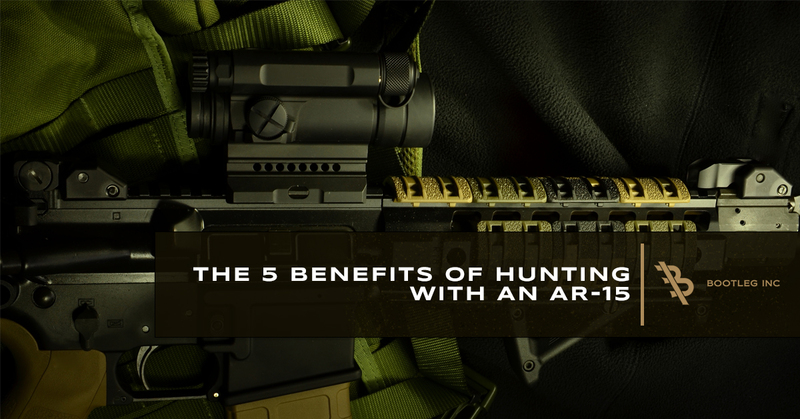 In this post, we will share the benefits of using an AR-15 for hunting and help you answer the first two questions we asked in the list above. As of this post, the AR-15 is super popular in both the hunting and rifle communities. People across the nation are either purchasing an AR-15 for their collection, or they are purchasing and using it for their hunting. Although the AR-15 has a “bad” reputation in the media these days, it cannot be denied that it offers a versatile experience. What’s more, a wide array of game can be hunted with the AR due to its capability to chamber a variety of round sizes. This popularity fuels innovation and progress toward advancing the rifle even further. The compact design of the AR-15 make it an excellent hunting rifle. The vertical magazine and grip make it easier to handle and more comfortable to shoot — some would call it ergonomic. What’s more, the AR-15’s compactness allows for smaller or younger shooters to use the rifle with ease, whether training at the range or out on a hunting trip. Another great feature is the rifle sling that most hunters utilize while they’re on a trip. The sling allows for the rifle to go from slung to in-hand in a matter of seconds. Unlike traditional hunting rifles, the AR-15 allows for the hunter to walk long distances without worry for the rifle being ready for use, as it hangs from the shoulder at all times. Finally, the detachable magazine is a small feature that offers huge benefits when loading the rifle. For example, cold exposure can wreak havoc on your fingers. A detachable magazine allows you to safely unload the magazine, load a new magazine, and close the bolt without removing gloves or fumbling around with single rounds of ammunition. This saves the fingers in the cold, and it makes for a safer loading process compared to bolt-action hunting rifles. Unlike a traditional hunting rifle, the AR-15 semi-auto feature allows for the hunter’s hands to always be in firing position, unless needing to reload. This can save time if a shot is missed on a trophy buck and a quick second shot is needed to down the prey. Another example, hunters who encounter coyotes are able to take multiple shots without enduring the long-tracking process forced by a traditional hunting rifle. Furthermore, the semi-auto reloading allows for less time spent exposed to the elements like cold, snow, rain, or otherwise while hunting. You can keep your hands in your gloves, utilizing the detachable magazine for reloading when needed. The AR-15 is easy to become familiar with as a rifle. 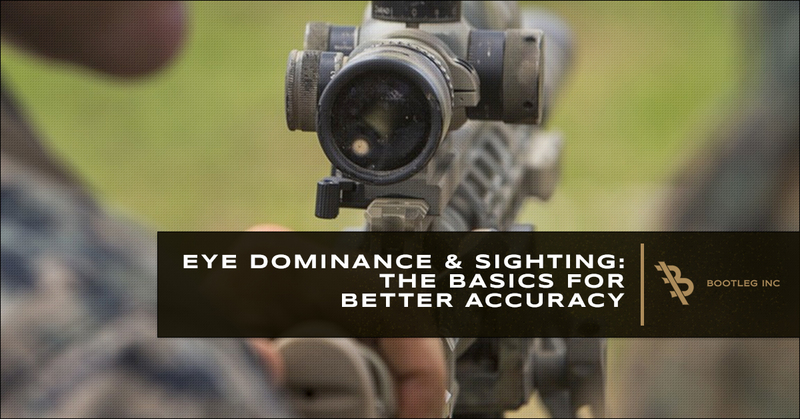 Whether used for hunting or home defense, it can be quickly trained with to get a feel for how it shoots and what it’s capabilities are in either environment. What’s more, the transition from home defense use to hunting use is seamless. You can take your defense AR-15 and switch it over to a hunting rifle within a few minutes to a few hours. For most rifle owners, they utilize two or three different AR-15 rifles. They have their defense rifle, which is intact and ready for use at all times. Then, they utilize one or two other rifles for their preferred game of choice. In fact, a single AR-15 lower can be switched out within the matter of minutes to change caliber. It’s a simple transition and makes the rifle extremely versatile in its use. When you choose to use an AR-15, you take control over how you like to shoot and what you like to shoot entirely. The AR allows extensive customization and modularity that even the veterans still blush at. You can go from a home defense rifle to a hunting rifle in minutes, as well as own multiple ARs for various uses. This modularity has lead to some disagreements in the hunting community. As Americans, we are scrappers. We hold our values close to our vest, and we stand true to our beliefs. The same goes with the types of rifles used while hunting. You have the bolt-action hunters, muzzleloader hunters, lever gun hunters, and, now, the AR-15 hunters. No matter the rifle you choose to tout while hunting, you’re in good company. Now that you know the five benefits of using an AR-15 for hunting, have you considered the best AR accessories for your setup? At Bootleg, we provide our rifle owners with a variety of top-tier accessories to make your shooting experience more comfortable and personalized to you. Shop our inventory now! 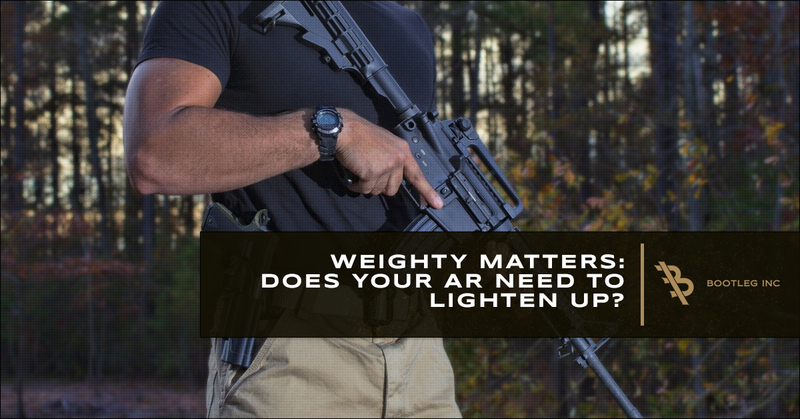 Weighty Matters: Does Your AR Need To Lighten Up?